Have a look around and let us know what you think. A warm and friendly welcome always awaits at the only racecourse in Northumberland and the most scenic in the country. 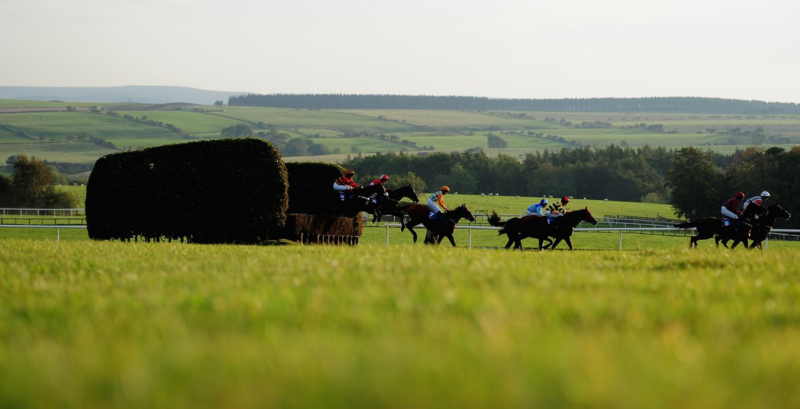 Situated 600 feet above Hexham, the National Hunt course has 15 scheduled race meetings throughout the year including several popular weekend and evening fixtures. Hexham Racecourse takes full advantage of its natural amphitheatre setting to provide superb viewing of racing. The left handed undulating track extending to 1 mile 4 furlongs places emphasis on stamina and is surrounded by magnificent countryside. Make your day more memorable, book into the Pavilion Restaurant for a fantastic four course carvery buffet overlooking the racecourse or enjoy the exclusivity of a private box with a bespoke package. Go the extra furlong and sponsor a race to promote your company or a fun way to celebrate special occasions such as birthdays and anniversaries.